Glowcare is a Vaillant UK official North West service agency, covering Cheshire, Gt Manchester, Liverpool, Lancashire & North Wales. We specialise in the service and repair of Vaillant, Glow-worm and Saunier Duval gas heating boilers. Our Gas Safe Registered Vaillant heating engineers are very experienced and reliable, and provide a fast response to many areas throughout Cheshire, Greater Manchester, Lancashire, Liverpool, Merseyside, High Peak, North Staffordshire, North Shropshire, Flintshire, Denbighshire, Conwy, and many other local and rural areas of North Wales. Please visit our Postcodes and Areas Directory page for a comprehensive list of all the areas that we cover. 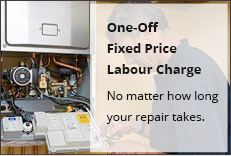 Contact Us on 01244 880725 – 07789018775 or Email info@glowcare.co.uk for our Vaillant fixed price repair and service. The major towns and cities that we cover are listed below.